The season’s brightest, boldest-and hottest!-shades all in one unique two-sided compact. One side features an eye-popping array of nine shadows; flip the palette around for a full-sized, three-shades-in-one face illuminator! 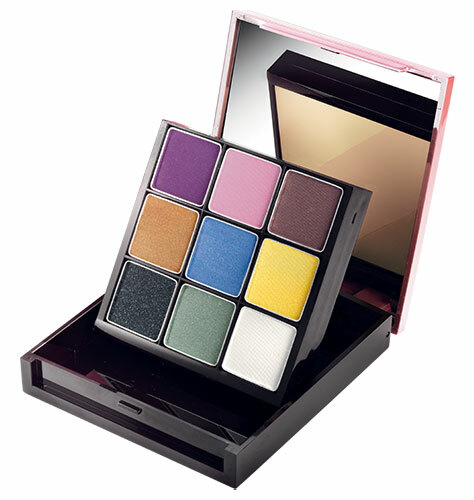 Nine shadows: Plumify, Peep, Royaled Up, Taxi, Sky High, Tiger Lily, Fluffy, Greenery and Black Tie. Each, 0.05 oz. net wt. One face Illuminator: Al Fresco. 0.42 oz. net wt.